Give Your Buyers A High Value Deal: FOUR Top Selling Video Apps For The Price Of One! Plus Your Share Of $4600 In Cash Prizes! Join our priority JV list to be kept up-to-date on launch developments, leaderboards, and more. No spams or promo emails. Your privacy is safe, unsubscribe at any time. ADD ME TO THE PRIVATE JV EMAIL LIST! 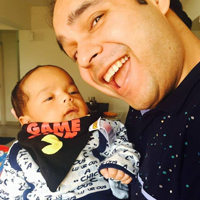 VideoCrate Contains FOUR Top Selling Video Apps From JVZoo Top Five Vendor ANKUR SHUKLA! Watch the demo video below and see how it works. You can setup a brand-new autopilot video site in under 60 seconds. 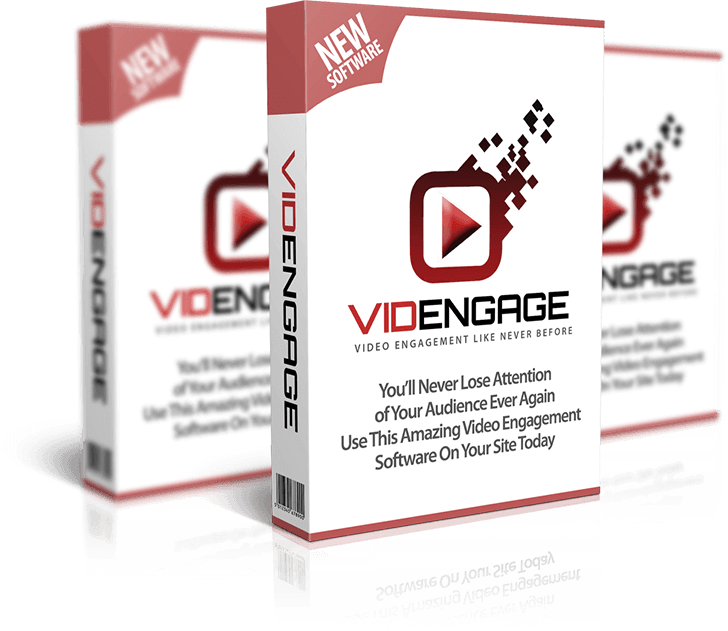 VidEngage is a web-based software that allows your videos to VISIBLY continue playing when a user scrolls down a page. How many times have you been watching a sales video and then scrolled down the page to see what else was on the page? When you do this, the audio continues playing but the potential customer cannot actually see the video. Basically, the video has failed to engage the viewer and any important visible elements are lost. VidEngage solves this problem by allowing you to clip your video from any source such as YouTube, Vimeo, Amazon s3 and more to any corner on your page when a viewer scrolls down the page – so while they are scrolling they are still able to see the video and not only hear it – ultimately helping your customers generate more leads and sales. The video will only clip to the corner when the user scrolls past the main video, so it’s not visible the entire time and won’t be a distraction at all. The transition is 100% smooth! Every website & blog on this planet wants to generate more leads and more sales. Most of of these sites have also understood the power of video & use Youtube/Vimeo videos on their site. BUT - they are not using their videos to do MORE. That's where WP Video Profits comes in. This plugin lets you add unlimited Calls to Action, Optin Forms and any kind of HTML elements on TOP of your videos forcing visitors to take action and convert them into leads, sales and commissions for you. Every single video on your site is waiting for this power to be added to it and 2X or even 3X your results from your website. This is a software that everyone with a WP site needs. Works in ANY Niche you want. 100% NEWBIE Friendly - Setup & Ready to go in Seconds! VideoCrate contains not one, not two, but FOUR top quality video apps for a 65%+ discount. Did you miss any of VideoCrate's four top quality video apps when they launched? If so, here's your chance to get ALL of them for a bargain! With VideoCrate, you get an entire collection of top quality USEFUL video apps for a heavy duty discount. Why get just one video app, when you can get FOUR with VideoCrate? 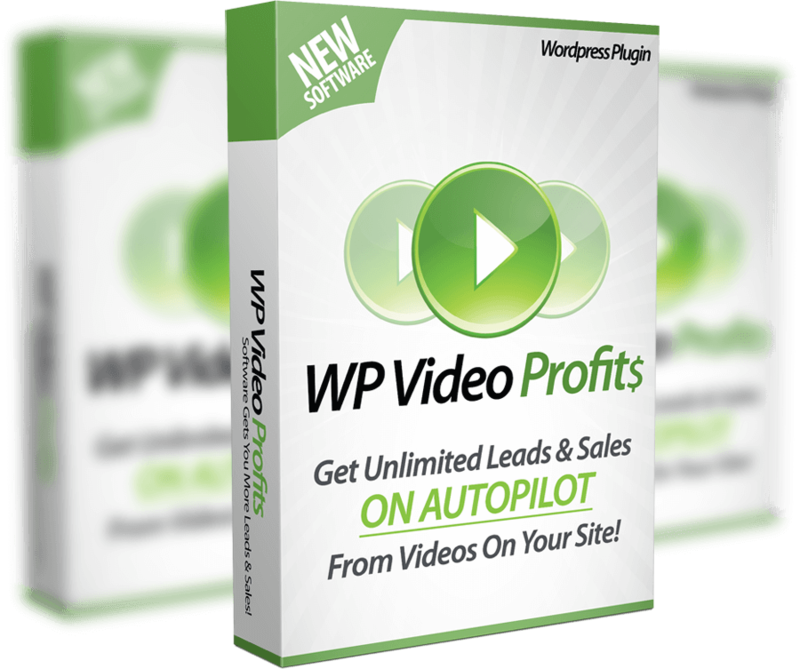 + WP Video Profits: This WordPress plugin adds unlimited Calls To Action, optin forms, and any kind of HTML elements on TOP of your videos, for converting viewers into leads and sales. + a plugin that adds unlimited Calls to Action, optins, and HTML elements on top of your videos. 1-Click Video Site Builder creates passive income sites that auto update themselves, add high quality content automatically, and are completely set-and-forget commission machines. Step1: Add two or three keywords you like. Step2: Add your affiliate links & video preferences. Step3: Push ONE button & your site is READY! The site builds itself without any manual intervention. more commissions from your affiliate offers. 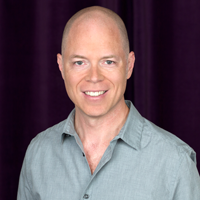 + Curates video content from the top YouTube authorities in your niche. + Monetizes your site with your affiliate links, banners and offers, in seconds. + Creates high-quality sites your visitors will enjoy staying on and buying from, and that Google rewards. + Works with any WordPress theme. #4 - Builds backlinks automatically for your video. Without these 4 things, your video will never rank well. + Builds backlinks automatically for your video. All these are amazingly helpful In ranking your videos and getting you more traffic. How many times have you been watching a sales video or any video on a website and then scrolled down the page to see what else was on the page? When you do this, you miss out on any important visual elements and call to actions on the video. All you can hear is the audio. so while they are scrolling they are still able to see the video and not only hear it! Not only that, VidEngage allows you to add call-to-action buttons that scroll WITH the video. VidEngage generates more leads and sales for you, while keeping your audience engaged 100% of the time. It pops your video into a floating window at the corner of your page, so viewers see and hear it, no matter where they scroll. Plus, there's a call-to-action button that scrolls with the video. Step 4: Insert your code into ANY page. You can have the best video in the world on your page... but nobody sees it once they scroll away from it. VidEngage keeps your video (plus a call to action button) in front of their eyes, in a floating window at the corner of their browser. Now they're engaged 100% of the time. WP Video Profits lets you add unlimited Calls to Action, Optin Forms and any kind of HTML elements on TOP of your videos. This practically forces visitors to take action and converts them into leads, sales and commissions for you. above, below, and even INSIDE your videos! Special Bonuses -- You can pick up to 3 from the list. Regular Bonuses -- Use any or all. These pages may be in progress. Win Great Cash Prizes In Our JV Contest! High Value: VideoCrate offers a 65% to 72% savings at every step in the funnel. Your buyers get a huge bang for their buck! VideoCrate = The Maximum For Your Buyer's Buck! Proven Sellers: All four apps in VideoCrate were top sellers that were awarded Product Of The Day by JVZoo. VideoCrate = Products You Know Are Going To Sell! High Quality: Each of the four apps in VideoCrate are easy to use, proven to work, and are fully supported. VideoCrate = Products You And Your Buyers Can Trust! Respected Creator: Ankur Shukla is a Top Five JVZoo Vendor with many POTD-awarded products. His products always have low refund rates. VideoCrate = Partnering With A Top App Creator! 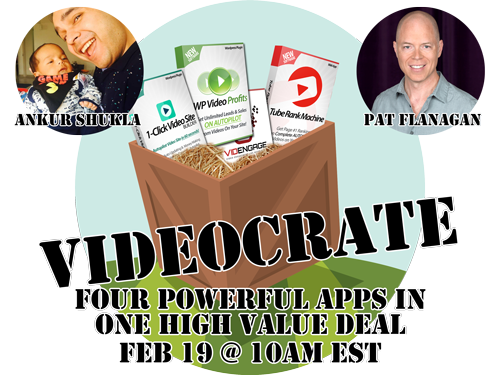 Join Us Feb 19 For The VideoCrate Value Deal! Breaking any of the following rules will result in your affiliate account being disapproved and the forefeit of any and all outstanding commissions. You must comply with all federal, state, and local affiliate marketing guidelines. You may not market our products and services using spam (email that is unsolicited in ANY way), junk traffic, safe lists, or solo ads. Our products and services may not be misrepresented in any way. You may not promote our products and services using review videos or writeups that are negative towards competing products. You may not use negative words such as (but not limited to) "scam" in your promotions. You may not use cookie stuffing or any other illicit cookie tricks. If you are unsure whether or not a promotion will be compliant, please contact the us for approval BEFORE you run it!